Have you ever thought about adding a kitchen island to your home? 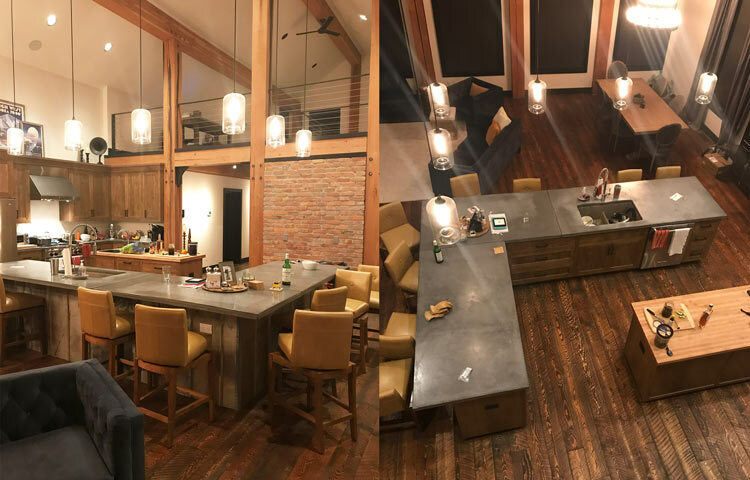 Do you have any questions about how big to make the island and how much spacing you’ll want around it? If so, I will fill you in with a few tips to help you plan for a new kitchen island so you’ll have the ultimate space to entertain! I’ve partnered with Maytag for the appliances. 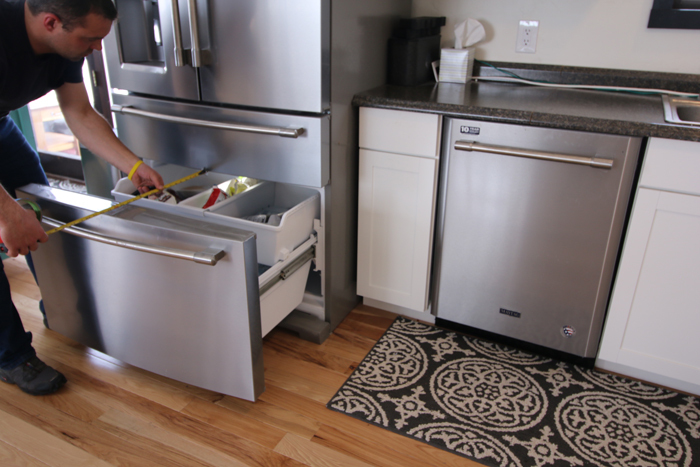 I’ve been using their appliances for years without any problems and I absolutely love how stylish and convenient the Fingerprint Resistant Stainless Steel looks in the kitchen. They are backed by a 10-year limited parts warranty, are made to last and cleaning the appliances has been a breeze when I only need water to wipe away any marks! It’s where we spend time! Kitchens are an area of our home where we spend a great deal of time. We cook, clean, have family meals, and entertain. It is therefore important to take your time while laying out the kitchen and to make sure it will function well for your family and friends. Something I’ve noticed while going to dinner parties and hosting them is that everyone loves to congregate in the kitchen. No matter how many comfortable chairs and couches there are, people head over to the island area to snack on appetizers and to engage with one another. This is a big reason is why I’m wanting to build a beautiful and functional island for the kitchen. The size of your kitchen island will depend on how you want to use it and the overall size of your kitchen. You may need to put a stove or sink in your island, which will affect how is laid out and functions. Some of you may have your appliances elsewhere and can build an island simply for entertaining, seating, and a workspace. If possible, I recommend building an island that is 3 feet by 5 feet or larger. This will provide plenty of cabinet and work space. I have a little extra room and plan to make mine 4 feet by 7 feet. 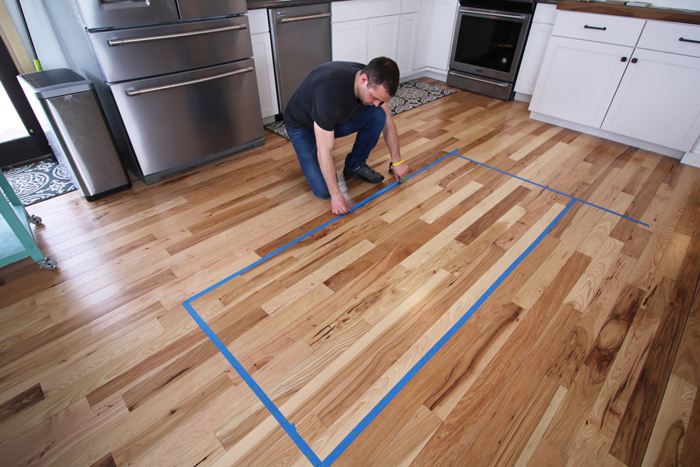 I also suggest taping out the area of the kitchen island and then walking around it as if the island were built. See how much space there will be to walk by another person, and how it feels to move dishes and other items from place to place. You must take time to measure and determine the best spacing between the island and cabinets / living space in your home. There needs to be plenty of space to open cabinet doors, appliances, and so you can walk by another person in the area. My refrigerator​ has a nice large pullout freezer, so I wanted to make sure there is plenty of space for it to pull the drawer all the way out. I recommend a minimum of 40 inches between the cabinets and an island. If possible, additional space is nice to have and I will be spacing my kitchen island approximately 48 inches from the cabinets. An overhang will be necessary if you plan to have seating around the island. I used an old kitchen cart to simulate the wall of an actual kitchen island to help determine how much legroom is needed and space to tuck in the chair. A 15-inch overhang is nice if you have the room and support. I will be doing a concrete countertop and plan to do a 12-inch overhang with minimal supports to give it a clean look. To do this, I’ll need to make sure the re-enforcement in the concrete is laid out well. I had a few counter height stools to help determine spacing. 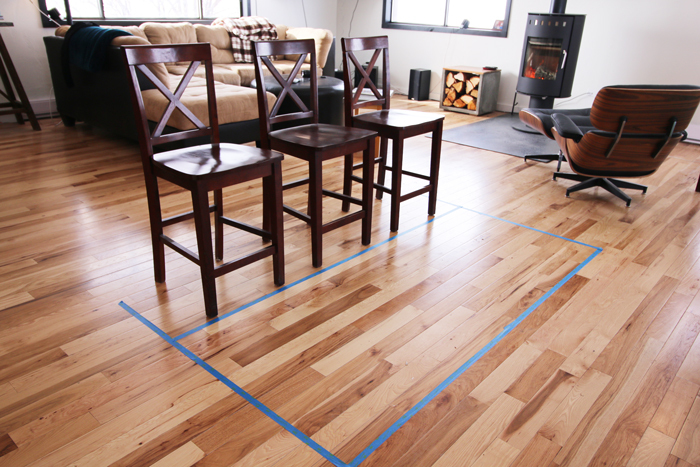 Chairs vary in size so it is a good idea to play around with the spacing to make sure you get a good fit. Here is an example of a concrete countertop I helped some friends with. We did a 12-inch overhang and it has worked great. 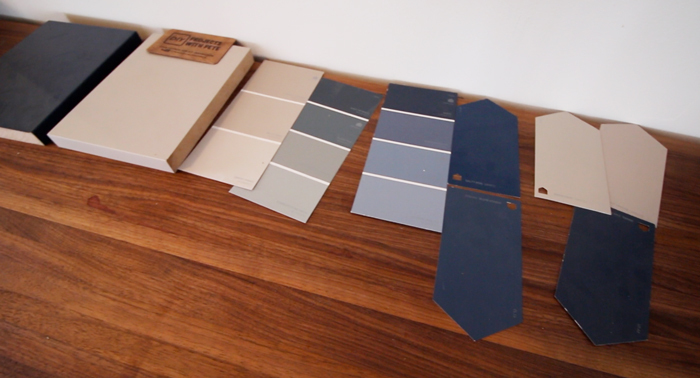 My interior designer has been helping with color ideas for the kitchen island. The cabinets in the kitchen are an off white, and Leah proposed doing a contrasting color for the island to make it a focal point. I’ll be going with a navy blue. I think it will look clean and sharp. There are so many options when it comes to counters. I will be making and installing concrete counters in the kitchen. Concrete counters are so customizable and I love the look of them. One option I am thinking about is doing a waterfall edge where the concrete covers the sides of the island. 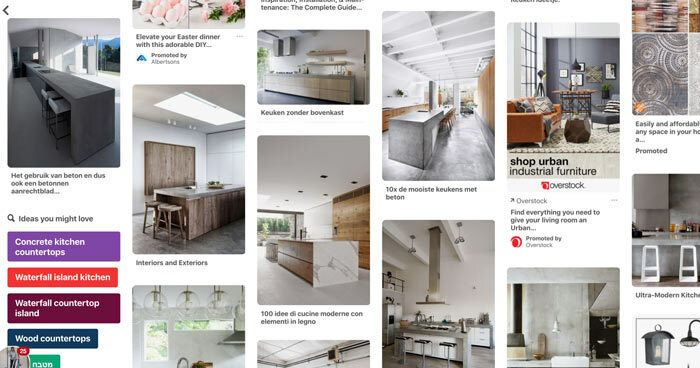 Here are a few examples I found through Google image search to show you ideas. I hope the tips I’ve shared will come in helpful when planning your kitchen island. Make sure to build a size that will work well for the space in your home and that it’s features will fit your needs. 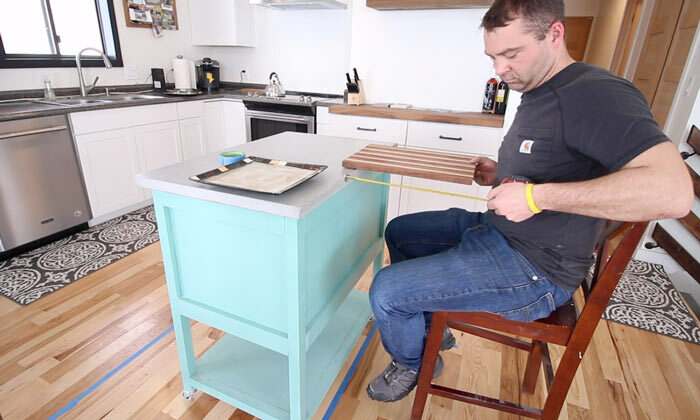 I’ll be building the kitchen island soon and am excited to document the process to show you how it goes. Please like and share if you found this post helpful. Post below if you have photos to share of your kitchen island! And finally, don’t forget to check out the appliances from Maytag​ if you are looking to upgrade your kitchen’s look.